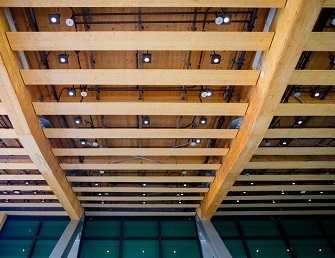 Europe has led the way in recent years with some truly impressive wooden buildings, but Asia is fighting back. Singapore’s Nanyang Technological University (NTU) has announced plans for an impressive US$130million, six storey high academic building. Amazingly, it will be built from wood, and will be the largest of its kind in Asia. By Jeremy Torr. Singapore, August 30, 2018. One of Singapore’s top educational establishments, Nanyang Technological University (NTU), will soon boast Asia's largest wooden building in the form of a new multi-storey home for its Nanyang Business School (NBS), along with other admin and college departments. "Bringing together our [practical and theoretical] approaches to innovation and sustainability, this new academic construction will be the largest wooden building in Asia,” said NTU president Prof. Subra Suresh. “This new project will exemplify our distinctive NTU Smart Campus and show that we 'walk the talk' with our commitment to sustainability," he added. 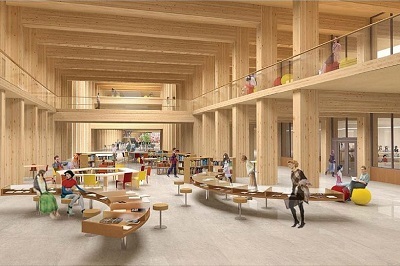 The new 40,000 sq.m, six-storey building will be built using mass-engineered timber (MET), with material procured from renewable forests and pre-fabricated before being shipped in and installed on site. The university says this approach will ensure a more environmentally friendly result in terms of materials, as well as requiring less manpower than traditional construction methods to erect. NTU estimates the total cost of the new structure will be around S$180 million and says completion is expected by 2021. "NTU's next phase of major growth as one of the leading global research universities will critically depend on people,” noted Suresh. He added that recruitment and retention of top talent among faculty, staff, post-docs and students was crucial, and could only be helped by projects such as the new building – as yet unnamed – which he described as cutting-edge 'moonshot' projects that would stamp the university with a significantly progressive approach over the next five years. NTU's Business School will be the main occupant of the building. Courtesy RSP Architects & Planners. The new NBS building was designed by RSP Architects Planners & Engineers, one of the design houses that has already worked on several new projects at Singapore’s Changi Airport. The new building adds to the impressive existing list of sustainable buildings on NTU's campus, which includes the Wave Sports Hall, also built from mass-engineered timber (MET). The Wave was completed in 2017, and features five times better heat insulation than a comparable concrete structure. The building boasts a continuous 72m wave-like roof that stands without the need for internal columns. Inside is a cavernous three-storey space with with room for three full-sized basketball courts or 13 badminton courts. This layout is only possible as The Wave uses seven long-span MET arches weighing over 440 tonnes. Because the MET arches are much stronger than concrete or steel on a weight-to-strength ratio, columns are not needed. Other benefits already realised in The Wave, and likely to be used in the new NBS building, include energy-saving LED lighting and solar powered systems, natural wind and solar ventilation, and special air-pocketed external walls. These are built in two layers with a pocket of air between that insulates the interior from heat on baking days. A MET interior roof at The Wave, NTU. Courtesy RSP Architects & Planners. Additionally, the walls use internal metal chilled-water cooling coils installed internally. These cool air entering the hall, allowing warmer air to escape through convection – and consequently less need for air-con. 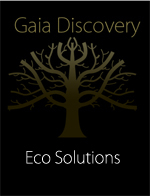 Together, these features are estimated to save over 40% of usual energy consumption. Which also means students can enjoy sports in a draft-free environment, free of wind disruption from fans, or the icy blast from conventional air-conditioning. “Sustainability is a core value of this university, and we walk the green talk, from education and research, to the building technologies on the NTU campus,” said NTU spokesperson Professor Bertil Andersson. “I'm a firm believer in sustainable forestry. I'm proud that NTU has pioneered the innovative use of wood in buildings here resulting in another iconic NTU structure, The Wave. " NTU is also committed to other sustainable building initiatives. It plans to double its existing solar energy production by 2019, to give it a total 9.9mW capacity, said Prof Suresh. He noted that this addition would allow sustainable power to supply 7-10% of the university's electricity needs. Student accommodation is also built to minimise power consumption. Residential halls use louvres instead of air-con to offer good ventilation, while the use of “Low-E” glazed windows enables students to avoid direct sunlight overheating their spaces by deflecting heat and ultraviolet rays from the interiors. “As a residential campus, we focus on providing a holistic education for our students,” said Associate Prof. Kwok Kian Woon. “Residential living and sports are important components of a vibrant campus life.” And if these can be incorporated sustainably, it looks like NTU will do just that. "NTU's new academic building will be our most ambitious sustainable construction project to date,” added Suresh. "Ninety-five per cent of our buildings are already certified Green Mark Platinum, and now we are seeking to be the greenest university campus in the world."